Welcome to the South Bay, another jewel from the treasure chest we call Los Angeles. There are few cities in the world that rival Los Angeles for the unique lifestyle and culture enjoyed by it’s inhabitants. Ask any true Angeleno and we will tell you, Los Angeles has everything. Everything you could need, everything you could want, and like all big cities, everything you want to avoid. Yet, few places rival Los Angeles in the love and devotion it gets from its inhabitants. There are so many microcosms and diverse communities that make up the landscape of the greater Los Angeles area. A little exploring of different LA neighborhoods quickly gives you the feeling that this is the city version of a matryoshka doll. A very hip and cool matryoshka doll. That diversity of Los Angeles means it’s hard for most of us to pinpoint a favorite part of the city. LA is a city of purposeful variety, meaning each different area has a function and role in providing some valuable cultural contribution to the larger entity that is Los Angeles. You want beach, Malibu. You want glitz, Beverly Hills. Old money, Pacific Palisades. Hipster scene, Highland Park. And the list goes on. But then there is the area we know as South Bay. This is where more and more Angelenos are preferring to actually live and call home. To describe it on a map, the South Bay is made up of the small communities that hug the coast below LAX and extend slightly inland from there. The South Bay encompasses all that we have have come to love about Los Angeles diversity. 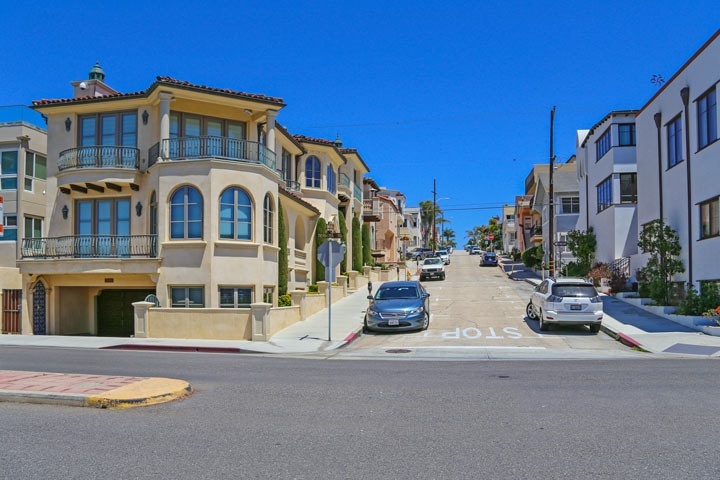 It includes everything from the quiet coastal communities of Hermosa and Manhattan Beaches to the family oriented working class communities in Gardena, Torrance and Hawthorne. The bottom line is there is room for everyone in the South Bay and that makes it a great place to live. True, Rodeo drive may be your first thought when it comes to shopping, Hollywood may top your list for nightlife, but the South Bay tops the list of comfortable places to reside for more and more people. The South Bay seems to be a good fit for a variety of lifestyles and the people who live there tend to stay as long as they can. The many pleasantries of the South Bay are the main reason my team has focused on serving the real estate market in the area. What better work than to help people get into and move around in this wonderful part of Los Angeles. Thinking of moving into the South Bay or looking for someone to buy your South Bay property? Your first step should be to get in contact with my team, we can help you make the South Bay dream your reality. This entry was posted in Community, El Segundo, Gardena, Hawthorne, Hermosa Beach, Inglewood, Lawndale, Lomitas, Manhattan Beach, Palos Verdes, Playa Del Rey, Real Estate, Redondo Beach, Rolling Hills, SouthBay, Torrance and tagged SouthBay on November 24, 2014 by Kitty Thompson.